Presented by Dr YH Leung, Clinical Associate Professor, Division of Haematology and Bone Marrow Transplantation, Department of Medicine, Queen Mary Hospital, Hong Kong. Click Read More to download the presentation file. The patient was a 55-year-old housewife who was an ex-smoker and non-drinker. She had been suffering from migraine since 1982 and was given aspirin bought over-the-counter. She had history of gastrointestinal bleeding with partial gastrectomy in 1997 and history of pancreatitis in 2001, which were all managed in the private sector. She initially presented to our gastroenterologist in 2007 with a 3-month history of diarrhoea in the form of loose stool 3 to 5 times per day. There was no mucus or per rectal bleeding. She also volunteered subjective weight loss of few pounds and ankle swelling. Physical examination found that the patient was cachexic with bilateral ankle edema. There were no stigmata of chronic liver disease or signs of congestive heart failure. Blood tests showed normal renal function test and complete blood picture, but severe hypoalbuminaemia with serum albumin 17g/l (NR 35-50) and deranged liver function test with ALP 200 u/l (NR 53-141) and ALT 53 u/l (NR 7-34). The serum bilirubin level was normal. Hepatitis serology, autoimmune markers, antimitochondrial antibody, immunoglobulin level, tumour markers and thyroid function were unremarkable. Twenty-four-hour urine total protein was only 0.3g. Stool for infective investigation, occult blood and fat globulin were all negative. Colitis from transverse colon and downwards was found by colonoscopy. Lymphocytic infiltration was found on histological examination. Upper GI endoscopy demonstrated previous billroth II gastrectomy with biopsy showing active chronic inflammation and no villous atrophy but the duodenal aspirate yielded heavy growth of both gram positive and negative bacilli. Computer tomography of the abdomen also showed thickened colonic wall suggestive of colitis. The working diagnoses were stagnant loop syndrome with bacterial overgrowth, aspirin induced lymphocytic colitis and the deranged liver function was secondary to poor nutrition and/or starvation. Primary sclerosing cholangitis caused by inflammatory bowel disease could not be totally excluded. She was given a course of antibiotics and her symptoms improved. Subsequent follow up found further elevation in ALP and to a lesser extent, ALT. Endoscopic Retrograde Cholangiopancreatography (ERCP) could not be performed because of tight stricture over the afferent loop. Magnetic resonant Cholangiopancreatiography (MRCP) showed small gallstone while the intrahepatic ducts were not dilated. Non-specific bile duct proliferation was demonstrated on liver biopsy which can be secondary to bile duct obstruction or primary sclerosing cholangitis variant. Follow up colonoscopy and push enteroscopy were performed. Histological examination only revealed mild to moderate villous atrophy and non specific inflammation. Xylose absorption test and stool for alpha antitrypsin clearance were suggestive of protein losing enteropathy. While awaiting further patient investigation including albumin scan and small bowel enema, the patient was admitted to our hospital in April 08 for decreased general condition. She presented to us with irrelevant speech and confusion for few days, together with cough and sputum. She was afebrile but blood test showed WCC 26 x109/l and right upper zone infiltrate on CXR. She then intubated for respiratory failure and transferred to our unit for further management. Ceftriaxone and azithromycinc was started to treat community acquired pneumonia. Total parenteral nutrition was also commenced on D2 of ICU admission for nutritional support. The patient's condition gradually improved with good oxygenation and ventilation. Sedation was taken off on D3 of ICU admission as extubation was anticipated. She remained comatose for more than 48 hours after cessation of sedation. CT brain only revealed mild cerebral atrophy and CSF examination was unremarkable. Episodic frontal prominent sharp and slow waves signifying non-specific encephalopathy was seen in EEG. Blood ammonia level was checked which was elevated to 210 mmol/l (NR 11-51). It was thought that total parenteral nutrition (TPN) was causing the problem. TPN was therefore withheld and oral lactulose and neomycin were given. Serial serum ammonia level decreased and the patient was successfully extubated with full consciousness. Unfortunately, she succumbed 2 days after extubation because of an acute myocardial infarction and further investigations for underlying causes of her hyperammonaemia were not possible. Whenever unexplained coma is encountered in ICU, approach as that laid out in Table 1 is sometimes helpful. Hyperammonaemic encephalopathy is not an uncommon cause of coma in ICU, the most common type being hepatic encephalopathy. Ammonia is mainly produced from the gut as a result of the digestion of nitrogenous components of the diet, deamination of glutamine by glutaminase and breakdown of urea by urease present in colonic flora. 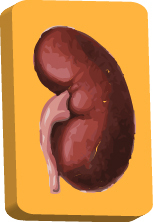 Kidney is another organ involved in ammonia production and this is important for acid base homeostasis. In case of seizure or intense exercise, small amount of ammonia is produced by muscle. Ammonia is mostly degraded in the liver via the urea cycle (Figure 1). Kidney, liver, brain and muscle may also have some roles in ammonia breakdown. Thus, causes of hyperammonaemia can be divided into hepatic cause (liver failure) and non-hepatic causes (e.g. drugs, inborn error of metabolism, infection) clinically. Another classification will be increased ammonia production (e.g. Infection by urease producing organism, increased protein load after TPN, gastric bypass surgery) and decreased ammonia breakdown as seen in fulminant liver failure, inborn error of metabolism, and drugs. Initial assessment of hyperammonaemia is summarized in Table2. 4. Coeliac disease. For patients with hyperammonaemic encephalopathy complicated with intracranial hypertension, apart from elevation of head of bed, hyperventilation, osmotherapy such as mannitol and use of barbiturates, mild hypothermia and use of N-acetylcystine may be helpful. Despite the lack of high quality evidence, administration of osmotic cathartic agent like lactulose and poorly absorbed antibiotics like neomycin remained the cornerstone of treatment of hyperammonaemic encephalopathy. Other agents like sodium phenylacetate, sodium benzoate, oral L-ornithine L-aspartate, L-carnitine, Zinc supplementation, renal replacement therapy, artificial liver support and liver transplantation have also been used with some success. Enough calorie by dextrose and lipids and minimal daily protein (0.8-1g/kg) must be provided to prevent protein catabolism. To conclude, whenever dealing with patients with unexplained coma, especially after introduction of TPN, it is worthwhile to have blood ammonia taken as one of the investigations despite a seemingly normal LFT or unremarkable family history of inborn error of metabolism. Fulminant liver failure and non-hepatic causes like TPN, drugs remain the commonest causes of hyperammonaemic encephalopathy in the adult ICU. 2. Juan Co´ rdoba, Beatriz Mı´nguez. Hepatic Encephalopathy. Semin Liver Dis 2008;28:70–80. A lady with limbic encephalitis with complex partial status epilepticus was presented. Non-convulsive status epilepticus (NCSE) constitutes 25-50% of all cases of status epilepticus. Unlike generalized convulsive status epilepticus, currently there is no universal definition for NCSE yet. The difficulties are mainly related to the subtle clinical manifestations; it is hard to differentiate these manifestations from normal behavior or other non-epileptic medical disorders. Diagnosis cannot be relied simply on EEG criteria because particularly in comatose patients, the EEG can show a variety of rhythmic or periodic patterns and some of which are of unclear significance. A positive electroclinical response to anti-convulsant treatment may be helpful in the diagnostic process, but absence of response does not exclude the diagnosis. There is an ongoing debate regarding the duration of an episode before a diagnosis of NCSE can be made. Most epidemiological studies used a duration of 30 minutes though this is completely arbitrary. Concerning the treatment of NCSE, one has to realize that it is a heterogeneous disease with multiple subtypes. NCSE can be broadly divided into focal and generalized types. Under focal NCSE, it can be further divided into simple partial, complex partial NCSE, and status epilepticus in coma. Under generalized NCSE, it can be divided into typical absence, atypical absence and late onset absence NCSE. In general, as most clinical forms of NCSE, with the exception of SE in coma, are not associated with acute systemic and chronic neurological complications, and aggressive pharmacological treatment seems to have a greater risk on morbidity and mortality than continuing non-convulsive seizure, a less aggressive pharmacological management is suggested. Therefore, when treating someone who continues to ‘convulse’ after benzodiazepines and phenytoin, instead of going directly to intubation and administering intravenous anaesthetics (midazolam, propofol or barbiturates) as in generalized convulsive SE, one may try other second-line anti-convulsants (valproic acid or phenobarbital), or even the newer anti-convulsants like topiramate and levetiracetam. Decison of whether proceeding to general anaesthesia if all of the above fail should be tailored for each patient. The prognosis of NCSE is good, except for those SE in coma. 1. Karine J. et al. Update in the management of seizures and status epilepticus in critically ill patients. Neurol Clin 2008; 26: 385-408. 2. Simon Shorvon. What is nonconvulsive status epilepticus, and what are its subtypes? Epilepsia 2007; 48(Supple. 8):35-38. 3. Daniel H. Lowenstein. The management of refractory status epilepticus: an update. Epilepsia 2006; 47(Supple. 1):35-40. 4. David M.Treiman et al. A comparison of four treatments for generalized convulsive status epilepticus. N Engl J Med 1998; 339:792-8. 5. Hartmut Meierkord et al. Non-convulsive status epilepticus in adults: clinical forms and treatment. Lancet Neurol 2007;6: 329-39. 6. J.Jirsch, L.J.Hirsch. Nonconvulsive seizures: developing a rational approach to the diagnosis and management in the critically ill population. Clinical Neurophysiology 2007; 118:1660-1670. 7. Rama Maganti et al. Nonconvulsive status epilepticus. Epilepsy and Behavior 2008;12: 572-586. 8. Jan Claassen et al. Treatment of refractory status epilepticus with pentobarbital, propofol, or midazolam: a systemic review. Epilepsia 2002;43(2): 146-153. 9. Chen JWY et al. Advances in the pathophysiology of status epilepticus. Acta Neurol Scand 2007; 115(Supple. 186): 7-15. 10. Pierre Thomas. How urgent is the treatment of nonconvulsive status epilepticus. Epilepsia 2007; 48(Supple. 8):44-45. 11. Eugen Trinka. The use of valproate and new antiepileptic drugs in status epilepticus. Epilepsia 2007; 48(Supple.8):49-51. 12. Nicolas S Abend et al. Treatment of refractory status epilepticus: literature review and a proposed protocol. Pediatr Neurol 2008; 38: 377-390. 13. Andrea O. Rossetti. Which anesthetic should be used in the treatment of refractory status epilepticus? Epilepsia 2007; 48(Supple. 8):52-55. 14. Kenneth G. Gordan, L.J.Hirsch. In nonconvulsive status epilepticus, treat to burst-suppression: pro and con. Epilepsia 2006; 47(Supple. 1):41-45. 15. R.E.Tellach et al. Monitoring seizures with the Bispectral Index. Anaesthesia 2004; 59: 1026-1036. 16. Jonathan M Schott. Limbic encephalitis: a clinician’ s guide. Practical Neurology 2006;6: 143-153. Two cases of carbon monoxide (CO) poisoning and one case of decompression sickness were presented during the meeting. Hyperbaric oxygen HBO) were given for all cases. Physical principle and physiological effect of HBO were shown. Potential benefits were illustrated by previous studies. Practical issues on application of HBO were discussed in detail.